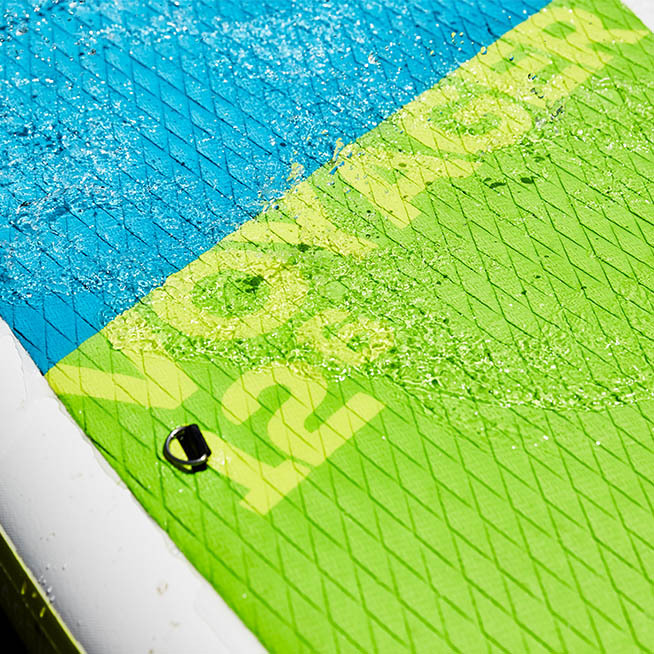 Extra stability and rigidity makes this board the ideal vessel for long-range outings. 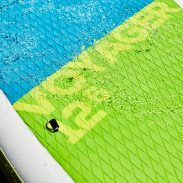 Increased thickness and capacity makes the Voyager 12’6″ super-stiff and stable, so it’s perfect for taller, larger paddlers and longer outings in a range of conditions. 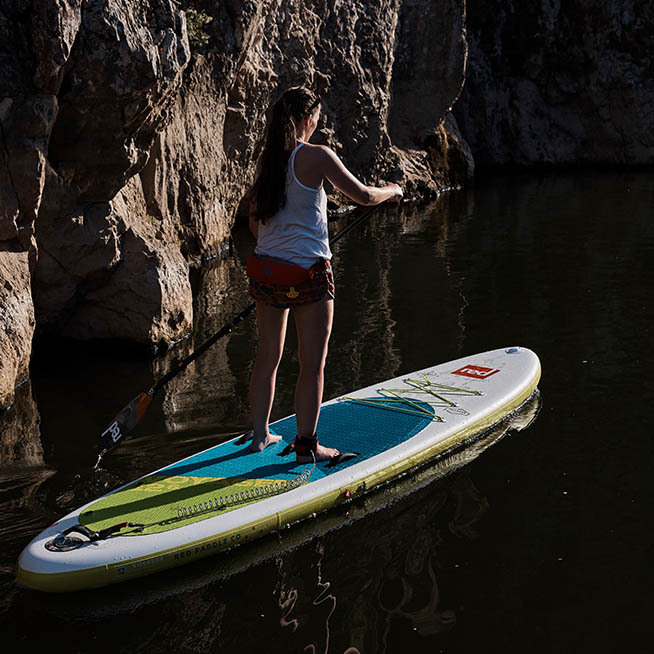 The durability of the boards offered by our MSL Fusion technology allows you to explore with confidence so any adventure is a possibility. 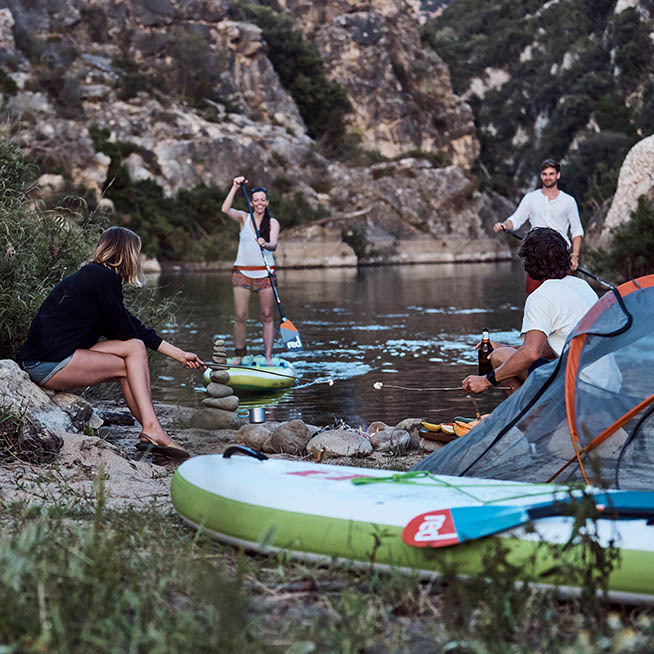 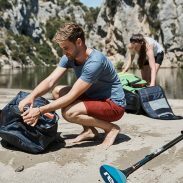 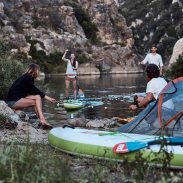 Extra length means it can easily handle a child on the front while you paddle, or if you’re going it alone, you can use the 6 point cargo tie-down system at the front and 4 point cargo tie down system at the back to take camping gear with you. 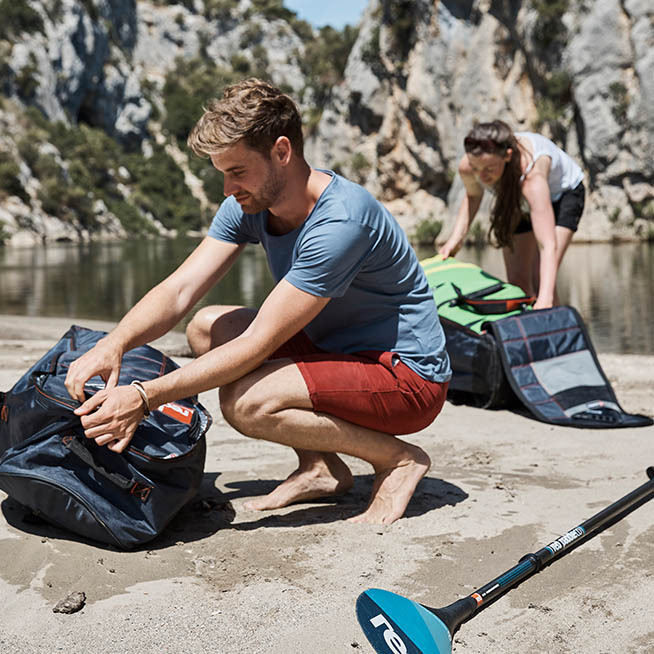 Multiple carry handles ensure that carrying around obstacles is a breeze, no matter how much gear you have on board. 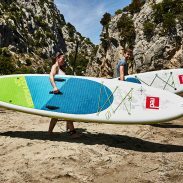 They now come with our Red Paddle Co logo embroidered onto the handle to be softer under foot and reduce the amount of plastics used in the manufacturing process. RSS battens ensure the board remains stiff when loaded and slices through the water. 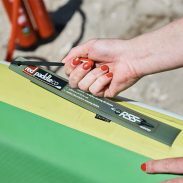 Beneath is a removable fin from world leading surfboard fin creators FCS, They slot into the fin box easily by hand and are secured in place with a finger bolt. 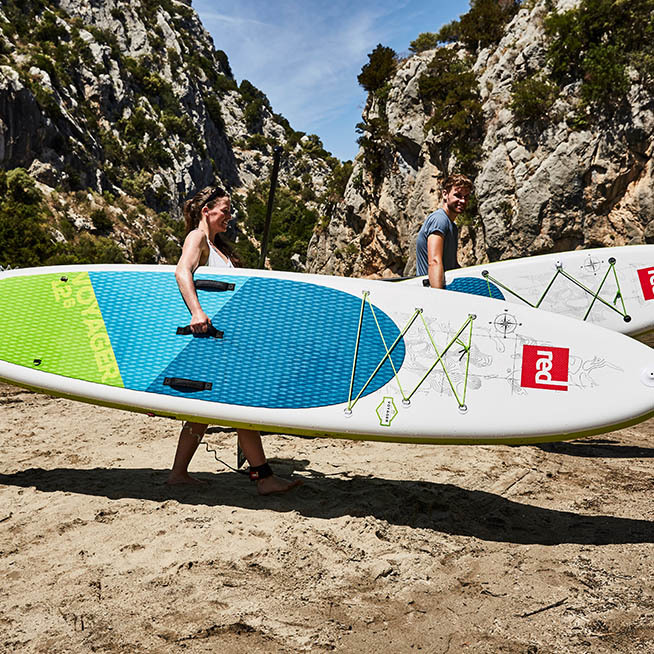 A nose runner fin has been added to aid tracking in side winds, whilst the two rear runner fins cancel out ‘tail drift’ when the board is loaded up.